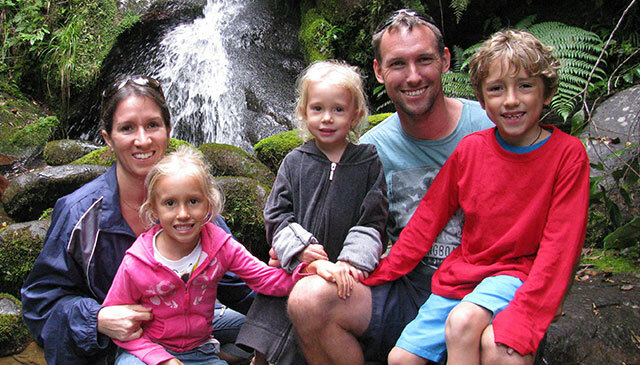 Brad and Michelle Venter have been married for 10 years and have three children, Nathan, Hailey and Megan. They are from South Africa but are currently serving in Papua New Guinea with MAF. Brad is qualified as a pilot and also as an aeronautical engineer. He has always wanted to fly as a missionary pilot and is excited about flying for MAF as he is pursuing his passion for flying and is able to use his skills and gifts to serve the Lord. Michelle is a qualified teacher and remedial teacher, but is currently a stay-at-home mummy with a full-time job of looking after the family. The Venters were accepted into MAF in January 2010 after starting the application process in July 2009. They left South Africa in mid January 2011 and are now based in Papua New Guinea. 2010 was really a year of challenges as they raised support and eventually got through all the necessary paperwork and other things that needed to be done. With Brad working until October 2010 it had been difficult to fit everything in. They flew to Australia on the 20th of January 2011, and started the orientation course on the 30th January 2011. After the orientation course, Brad completed the flight standardisation course which ended on the 18th March 2011. They then flew to Papua New Guinea and arrived in Mt Hagen on the 22nd March 2011. 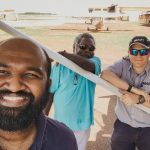 They spent about 2 months in Mt Hagen where Brad did a ground school on the Twin Otter, they did language training and Brad also did other training to learn how MAF operates in PNG. 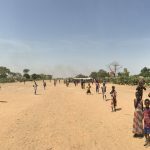 They also spent a week in the bush to consolidate their language training and to experience first hand the PNG culture and learn from the people themselves. Following all of this, they moved to Goroka in the Eastern Highlands where they are based at the moment. They will be there for the next while as Brad flies the Twin Otter and the C206. Brad & Michelle Venter are members of MAF South Africa.